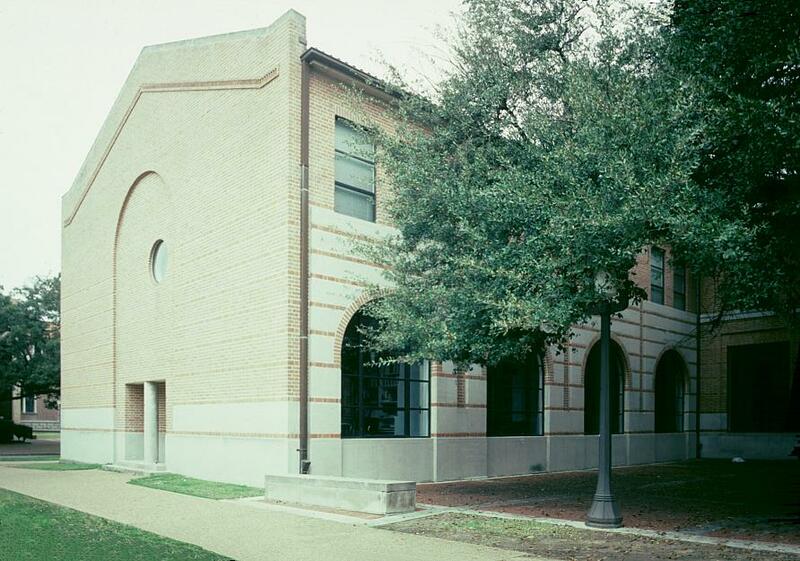 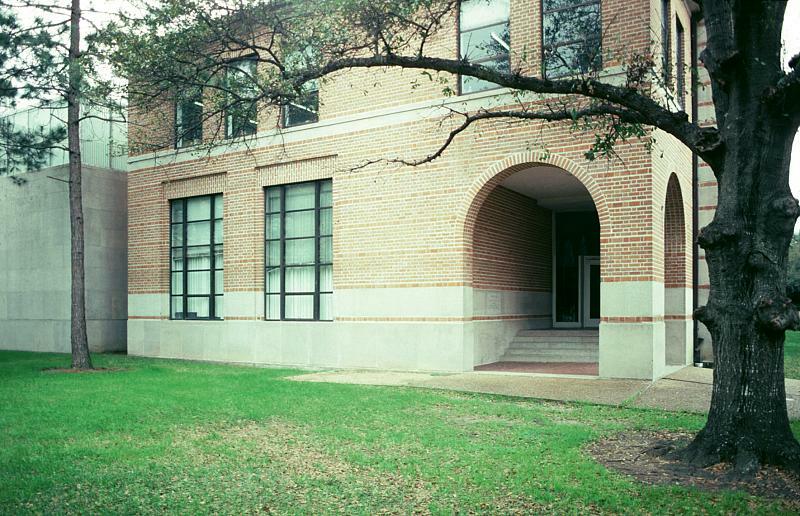 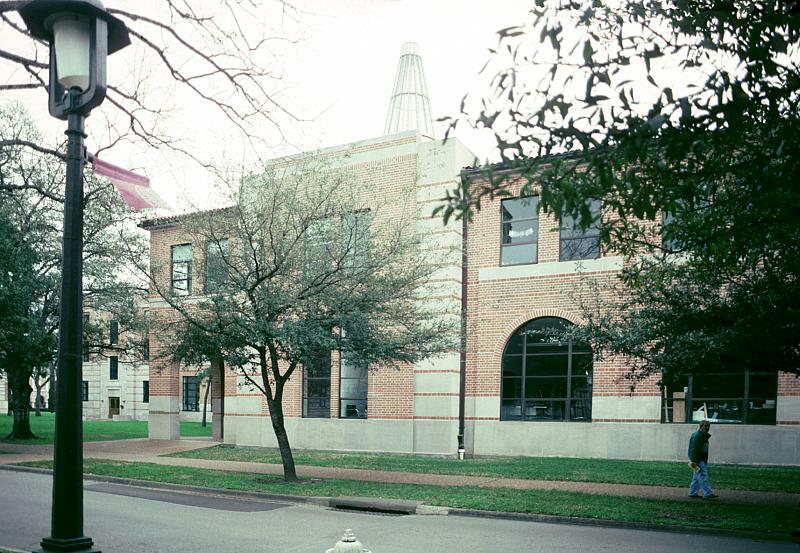 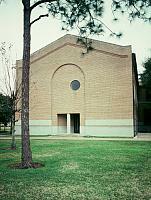 Anderson Hall houses the school of architecture. 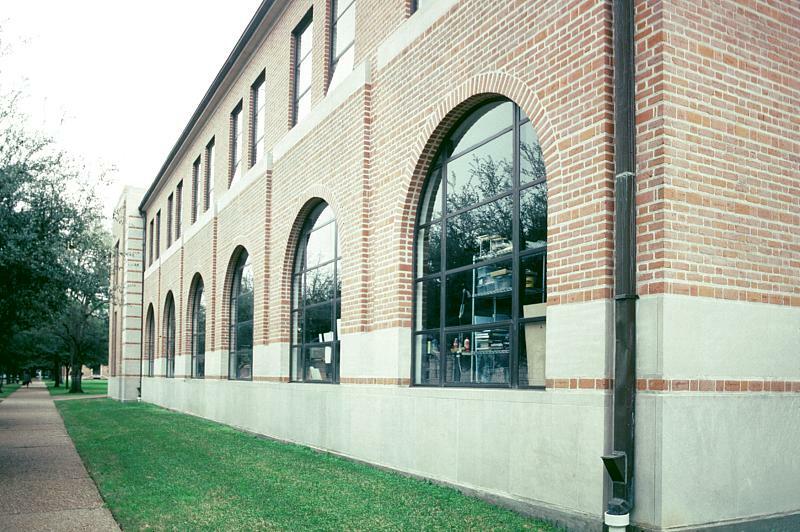 This addition was the first design by an architect who was not an alumnus of Rice and signalled the beginning of commissioning works by world-renown architects. 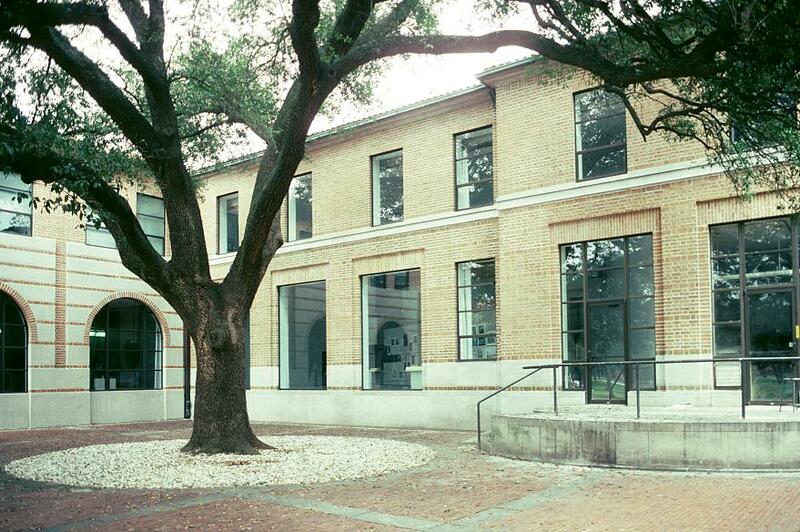 It is, of course, often the art or architecture buildings on college campuses that have this distinction. 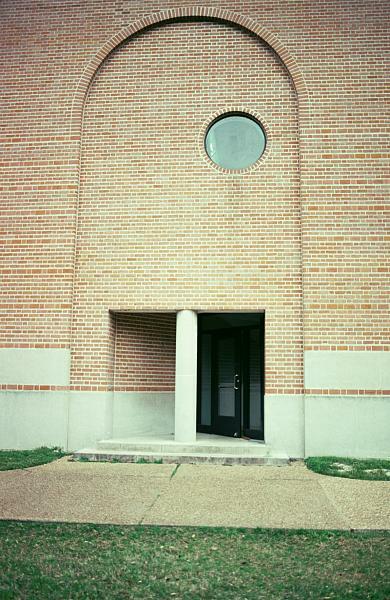 The asymmetrical placement of the circular window reflects the interior plan.